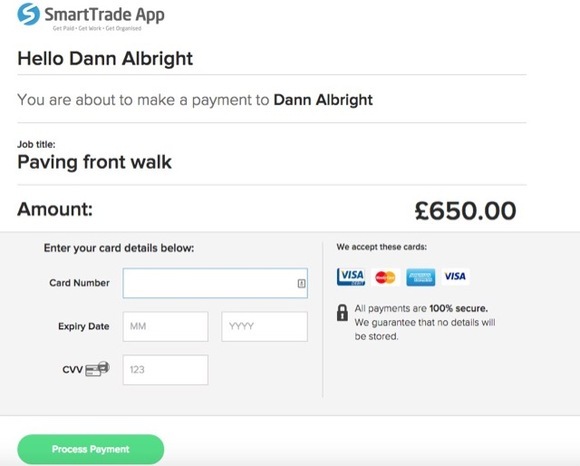 When you use the SmartTrade app to take payments from your customer, they can receive e-mail notifications for a number of different things. 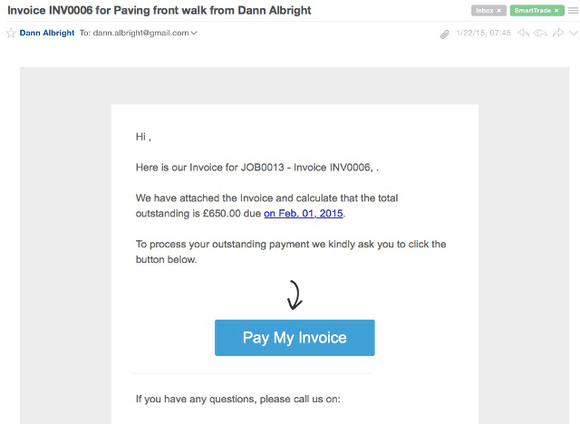 Here’s what those emails look like as your customer goes through the job process. 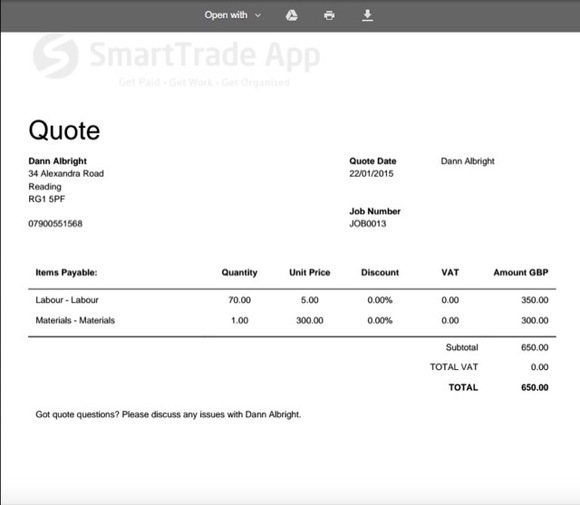 To view the quote in detail, a PDF containing the particulars is attached. 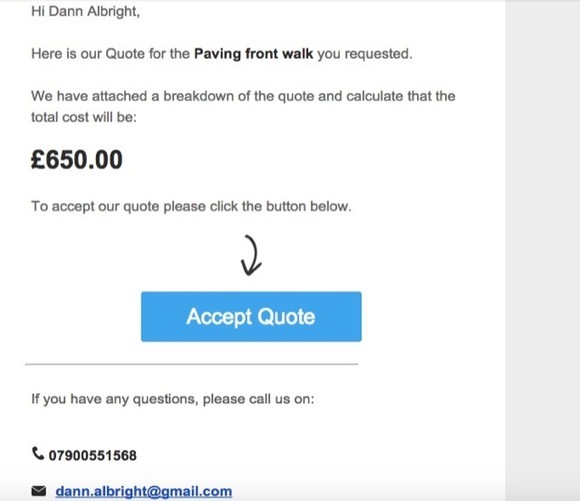 If there’s a question about your quote, your contact information is included right in the e-mail so that you can get it sorted straight away. 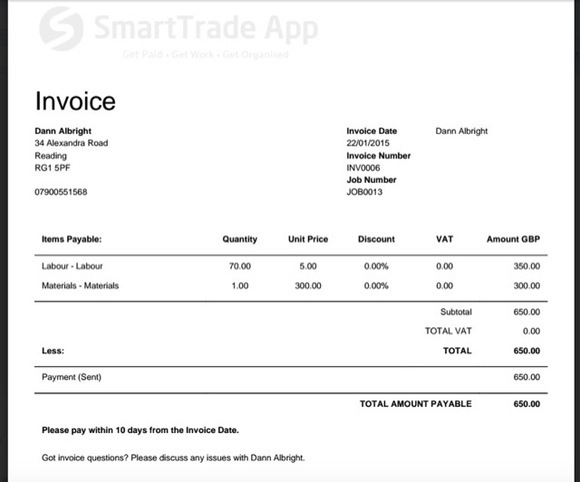 Try SmartTrade App today – its free to signup!